'ReWrite of Spring' is a tribute to Igor Stravinsky’s 'Rite of Spring' – one of the iconic modern masterpieces of music with decisive influence on the development of jazz music. 'ReWrite of Spring' by internationally renowned saxophonist, composer and conductor Lars Møller, is the first major project from his pen as director of the Aarhus Jazz Orchestra. 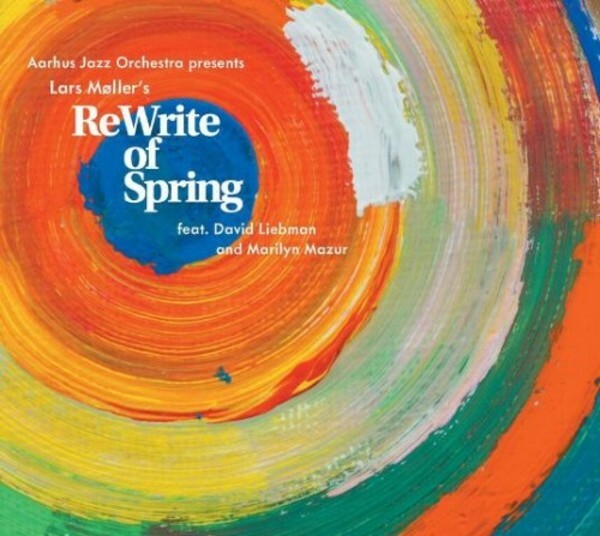 With melodic, rhythmic and dramatic inspiration from Stravinsky, 'ReWrite of Spring' spans transparency and ambiguity, virility and funk, exploiting the full expressive palette of one of northern Europe’s best big bands and topped by contributions from two world-class musicians, saxophonist David Liebman and percussionist Marilyn Mazur. While deeply rooted in American and European orchestral traditions, 'ReWrite of Spring' is a vital artistic statement representing a creative voice in the quest for a personal big band sound. The work is the temporary zenith of many years award-winning work within the big band format. Previous releases include 'Episodes' (Cope Records), which featured his 'hit', Folk Song No.1, winner of first prize for Best Big Band Composition at the 2007 International Jazz Composers Symposium in Tampa, Florida, USA. The Aarhus Jazz Orchestra (AJO) is one of Scandinavia’s leading big bands, performing more than 70 concerts annually. The band has performed with many of the most important jazz musicians of our time, recently including Grammy-winner Kurt Elling, guitar icon John Scofield and drummer Bill Stewart, with pianist Mulgrew Miller and Jeff Ballard.